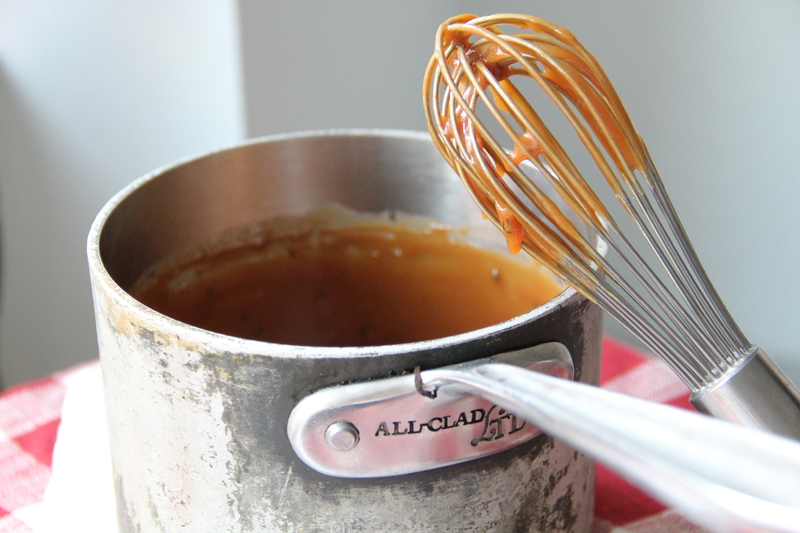 I’ve been wanting to tell you about this caramel recipe for awhile, but then it was suddenly upwards of 90 degrees here and I was too busy panting my way up the stairs (four flights, come on!) and standing directly in front of the table fan. Which took hours, you understand. But! The caramel. It is good. And now it’s starting to feel appropriately fall-ish here in the Bay. I’ve got sunflowers in miniature vases and miniature pumpkins on the coffee table. I’m into miniatures, apparently. Also caramel. Do you say cah-rah-mel? Car-mel? What’s the appropriate pronunciation, anyway? It’s probably best to just eat it, and leave the pronouncing to someone else. Is what I always say. 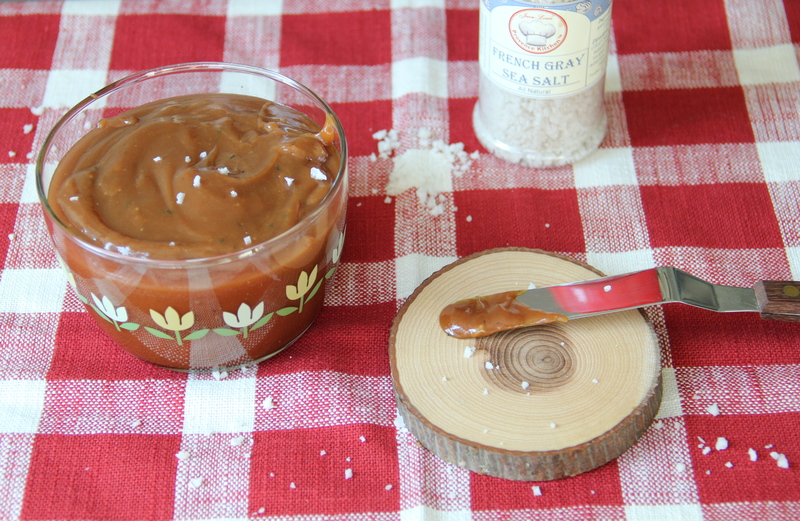 This caramel is for dipping and dunking and eating straight off the spoon. The thyme gives it a subtle and pleasant earthiness, and the addition of cream cheese (a happy accident, the result of not having any heavy cream in the refrigerator and needing a suitable replacement) results in a creamily thick, smooth, and subtly tangy caramel. Car-mel. Whatever. Lay off. In a large saucepan, combine the sugar and water and place over medium low heat, until sugar dissolves. Increase heat and boil, without stirring, until the mixture turns a deep amber color, swirling the pan occasionally to evenly distribute heat. Once your sugar reaches stage amber, quickly remove the pan from the heat and whisk in the butter, one tablespoon at a time, until smooth and incorporated (caution: the mixture will hiss and bubble up once you add the butter — keep your face and fingers away from the pan). Next, whisk in the cream cheese, spoonful by spoonful, until combined. 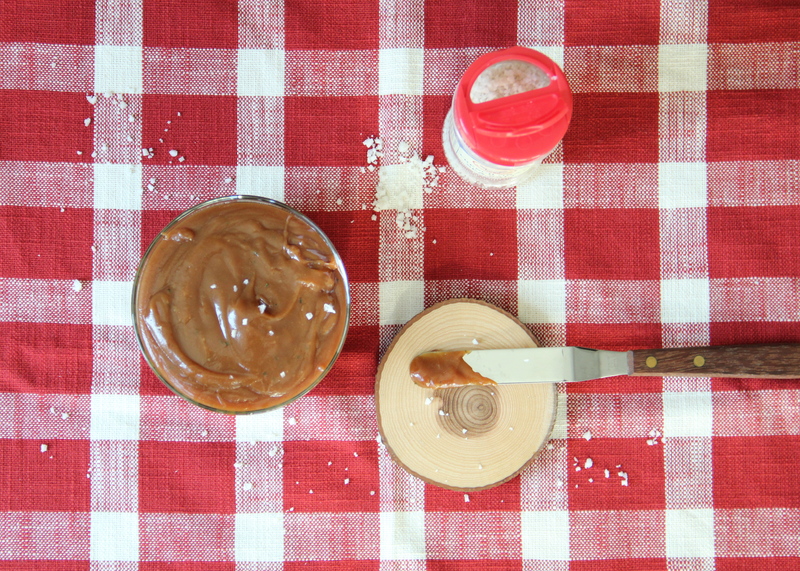 Stir in the salt and thyme, carefully pour caramel into a glass jar or container and allow to cool to room temperature. Enjoy immediately or cover tightly and store in the refrigerator until ready to eat. The caramel will keep in the fridge for 1-2 weeks. Yields about 1.5 cups caramel sauce.